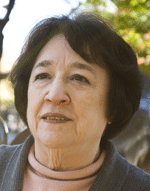 Helen Vendler is the A. Kingsley Porter University Professor at Harvard University. Her many books include Invisible Listeners: Lyric Intimacy in Herbert, Whitman, and Ashbery (Princeton), as well as studies of Shakespeare, Keats, Yeats, Stevens, and Heaney. She is a frequent reviewer for the New Republic, the New York Review of Books, and other publications.